Joaquin Almunia, vice president of the European Commission for Competition Policy has spoken out for the first time about the ongoing anti-trust investigation into internet search giant Google, outlining the four areas of concern the commission has in a letter to its executive chairman, Eric Schmidt. The investigation dates back to November 2010, after complaints from rivals including Microsoft that the internet search company was abusing its dominant market position and manipulating search results to favor its own advertising services. Almunia has given the firm one last chance to respond to concerns and come up with an outline of remedies to address the concerns the commission has raised. Failure to do so would almost certainly result in a huge fine, especially since the EU commission can fine Google up to 10% of its global revenue. The commission's first major concern centers around Google's manipulation of search results. "In its general search results, Google displays links to its own vertical search services differently than it does for links to competitors," he said. "We are concerned that this may result in preferential treatment compared to those of competing services, which may be hurt as a consequence." Secondly, issues have been raised regarding Google's observance of copyright laws, citing the way Google copies content from competing vertical search services and then uses them in its own products. "Google may be copying original material from the websites of its competitors such as user reviews and using that material on its own sites without their prior authorisation. In this way they are appropriating the benefits of the investments of competitors." 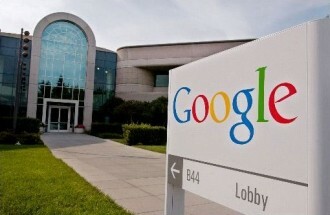 Google's advertising contracts were raised as the third issue the commission had with Google's practices. "The agreements result in de facto exclusivity requiring them to obtain all or most of their requirements of search advertisements from Google, thus shutting out competing providers of search advertising intermediation services. This potentially impacts advertising services purchased for example by online stores, online magazines or broadcasters." Lastly, the commission's investigation also raised eyebrows at the restrictions Google puts into the portability of online search advertising campaigns like Adwords. "We are concerned that Google imposes contractual restrictions on software developers which prevent them from offering tools that allow the seamless transfer of search advertising campaigns across AdWords and other platforms for search advertising." In response, Google downplayed the concerns but said it would be willing to cooperate to see the matter resolved. "We've only just started to look through the Commission’s arguments. We disagree with the conclusions but we're happy to discuss any concerns they might have. Competition on the web has increased dramatically in the last two years since the Commission started looking at this and the competitive pressures Google faces are tremendous. Innovation online has never been greater."